David is head of strategy and business development at Aldatu. Prior to founding Aldatu, David worked in biotech and university technology transfer, and led a course on Healthcare Commercialization and Innovation at Harvard Medical School. David hold Ph.D in Genetics from Harvard Medical School and holds a BS in Biology and BA in Music from the University of Richmond. Iain is responsible for leading the advancement of Aldatu’s pathogen and drug resistance diagnostic technology in addition to guiding the company’s global health strategy. Iain maintains an academic appointment at the Harvard School of Public Health AIDS Initiative. He undertook his post-doctoral training at the Harvard School of Public Health, and the Botswana-Harvard AIDS Institute in Gaborone, Botswana, where he focused on HIV drug resistance. Iain holds a Ph.D. in Pathology – specializing in molecular virology – from the University of Cambridge (2008), an LL.M. in International Law, and a B.Sc. in Virology from the University of Glasgow. Betsy is responsible for commercialization strategy, NGO partnership strategy, and other development efforts. Betsy has over 10 years of experience working in emerging markets, focusing on the validation and implementation of infectious disease diagnostics. Prior to Aldatu, Betsy was the VP of Business Development at Daktari Diagnostics, an HIV diagnostics company. She also led the validation and implementation of Ebola diagnostics in West Africa on behaf of FIND (Foundation for Innovative New Diagnostics) in collaboration with the World Health Organization. Betsy has a B.S in Human Development from Cornell University and is a graduate of the Product Management Program at Berkeley Haas School of Business. Maria joined Aldatu Biosciences in 2015 as Technology Specialist, taking on the development of multiplex PANDAA assays and daily lab management with earnest. She has many years experience as a BioTech professional in the fields of xenotransplantation and gene therapy. Prior to joining Aldatu, Maria was Technical Specialist in qPCR at bluebirdbio, Inc. She received a Bachelor of Science degree from Yale University – Go Bulldogs! Haifa joined Aldatu Biosciences in 2017 as a Lead Scientist, and is responsible for guiding PANDAA assay development and in-vitro diagnostic (IVD) product validation. Prior to Aldatu, Haifa was a Group Leader at GnuBio, a Next Generation Sequencing (NGS) startup company. Haifa also led several integrated drug discovery programs aimed at identifying small molecules therapeutic targets at Albany Molecular Research, Inc.
Haifa holds B.Sc. in Biology, M.Sc. and Ph.D. in Medical Sciences from the Technion – Israel Institute of Technology, and has completed postdoctoral trainings at the USDA-HNRCA of Tufts University and the Pathology Department of Brigham’s and Women Hospital and Harvard Medical School. Jarukit joined Aldatu Biosciences in 2016 and is responsible for optimizing PANDAA for HIV diagnostics. Prior to joining Aldatu, Jarukit spent his time at the University of Massachusetts Medical School studying and developing high-throughput sequencing methods to understand the required genetic pathways for Mycobacterium tuberculosis survival during infection. Jarukit earned his PhD in microbiology at the University of Massachusetts Amherst and is a recipient of the Ruth L. Kirschstein National Research Service Award (NRSA) postdoctoral fellowship. Nick joined Aldatu Biosciences in 2016, working to increase the sensitivity of PANDAA diagnostic assays. Prior to joining Aldatu, Nick was an Instructor at the University of Massachusetts Medical School with a focus on drug resistance evolution of human viral pathogens. Nick received his Ph.D. in molecular biology from the University of Massachusetts – Amherst and is the recipient of several awards, including the Curtis B. Thorne award for outstanding graduate research and a Ruth L. Kirschstein National Research Service Award (NRSA) postdoctoral fellowship. Mr. Beatty is an entrepreneur and Angel investor, and is currently the co-founder and Vice President of Business Development for ProSeeder Technologies, an enterprise funding platform enabling financial firms to collaborate, syndicate and execute private equity and debt transactions. David is also Chairman of Empire Messaging, Inc., a company he started in 1993 and ran until 2004, which provides Enterprise Messaging solutions to corporate clients. David has co-founded 3 other tech enabled companies with successful exits. David is a frequent speaker and panelist on the topics of early stage fundraising and seed investing. Dr. Fernández Suárez has over 10 years of scientific and industry experience commercializing scientific technologies for developing markets. Most recently, Marta served as VP of Assay, R&D at Daktari Diagnostics, a HIV diagnostic company, where she developed a complex immunoassay platform designed for point-of-care medical testing. 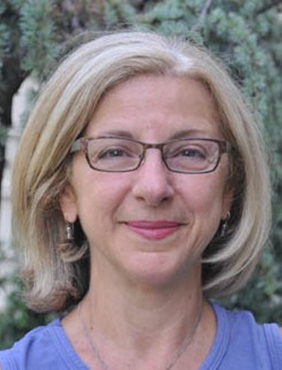 Prior to her role at Daktari, Dr. Fernández Suárez developed a point-of-care diagnostic for tuberculosis as a Postdoctoral Research fellow as Massachusetts General Hospital. Marta obtained her Ph.D. in Biochemistry at the Massachusetts Institute of Technology (MIT), and received a B.S. in Chemistry and M.S. in Chemical Engineering at the Institut Quimic de Sarria (Barcelona, Spain). Dr. Rodriguez has been a leader in global health for more than two decades. He is the former founder and CEO of Daktari Diagnostics, an HIV diagnostic company, and is now a Managing Director at the Draper Richards Kaplan Foundation (DRK), a global venture philanthropy firm supporting early stage, high impact social enterprises. Dr. Rodriguez was the former Chief Medical Officer at the Foundation for Innovative New Diagnostics (FIND), a global NGO that aids in bringing new diagnostic tools to market in resource-limited settings, and from 2003-2007 he served as Chief Medical Officer of the Clinton Foundation, responsible for strategy and market development for global health products and clinical policies and programs. Dr. Rodriguez held the role of Assistant Professor of Medicine at Harvard Medical School for five years, Research Associate of Internal Medicine at Massachusetts General Hospital (MGH) for six years, and was a member of the clinical staff at MGH and at the Brigham & Women’s Hospital (BWH) for more than a decade. He served as the Chief Medical Resident at BWH following his residency. Dr. Rodriguez earned his M.D. degree from Yale University School of Medicine and a Sc.B. degree in Neural Sciences from Brown University. Mike Henry is Senior Vice President and General Manager Consumer Genomics at Centrillion Technologies, a genomics company in Palo Alto, California. He has over 20 years of senior leadership experience in biotechnology business development. Previously, Mike served as Vice President Business Development at Ancestry, Quest Diagnostics, Athena Diagnostics (he sold Athena to Quest for $740 million in 2011) and Avant Immunotherapeutics. Prior to Avant, he worked in academic medical centers, serving as Senior Director Licensing and Ventures at University of Massachusetts Medical School, and Director Technology Transfer at Children’s Hospital of Philadelphia. Prior to CHOP, he served as Manager New Business Development at Allelix, Mississauga, Ontario. Recognized as a National Science Foundation Graduate Fellow as a PhD student at University of California Berkeley, Mike received an MBA and an MS from University of California Berkeley, and a BS from University of Michigan. Dr. Urdea is Founder and Partner for Halteres Associates. He also founded and served as Chief Executive Officer of Tethys Bioscience, a proteomics-based diagnostics company that has been involved in the prevention of type-2 diabetes (assets acquired by HDL), and was CEO of Quantum Dots Corporation (assets acquired by Life Technologies). Additionally, Dr. Urdea is a founder and the Chairman of Catalysis Foundation for Health (CFH), a non-profit organization addressing gaps in global healthcare caused by inefficiencies in disease diagnosis and monitoring; CFH is developing potential biomarkers for tuberculosis bacterial load with a grant for the Bill & Melinda Gates Foundation. Dr. Urdea is a member of the University of California at San Francisco Leadership Council for Global Health. He serves as a consultant to the life sciences industry and is on the scientific advisory boards and boards of directors of a number of biotechnology and diagnostics companies. Prior to his current activities, Dr. Urdea founded the Nucleic Acid Diagnostics business at Chiron Corporation, where he pioneered viral load assays for the human hepatitis B, hepatitis C and immunodeficiency viruses; his team introduced the first commercial viral load assays for all three viruses. Dr. Urdea also headed the Oncology Diagnostics business unit at Chiron. He then became business head of the Molecular Diagnostics group and Chief Scientific Officer at Bayer Diagnostics. He has served as an advisor to the Bill & Melinda Gates Foundation for over ten years. Dr. Urdea is an author on over 200 peer-reviewed scientific publications and has more than 125 issued and pending patents. He received his BS in Biology and Chemistry from Northern Arizona University, his PhD in Biochemistry from Washington State University, and had an NIH postdoctoral fellowship at the University of California at San Francisco. 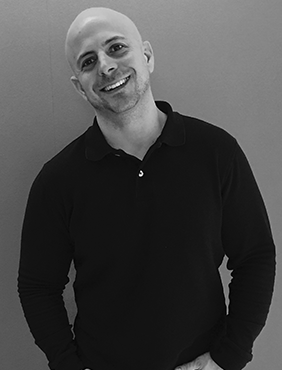 Chris is an infectious disease physician at the Beth Israel Deaconess Medical Center in Boston and serves as a consultant for Aldatu’s pathogen detection and drug resistance diagnostic technology. He is an Assistant Professor of Medicine at Harvard Medical School and a Research Associate at the Harvard School of Public Health. He works with the Botswana-Harvard AIDS Institute in Gaborone, Botswana, where he conducts research focused on HIV drug resistance in southern Africa. Chris earned his MPH from the Harvard School of Public Health, his MD degree from SUNY Downstate, and a BA in Government/Pre-professional Studies from the University of Notre Dame.